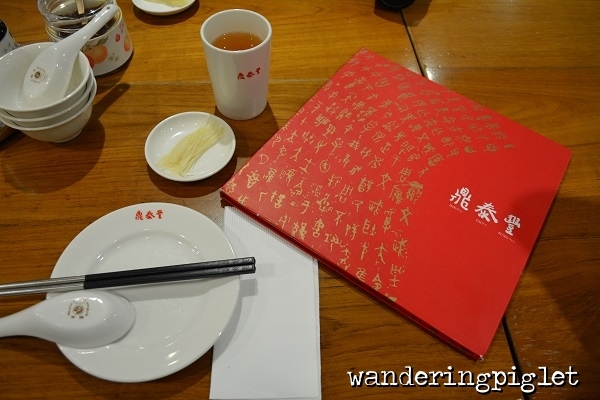 I have eaten at numerous Din Tai Fung Branches mainly in Singapore and Australia, so I have to be honest and say Din Tai Fung Taiwan, wasn’t high on my list to try. But I am very glad I did. 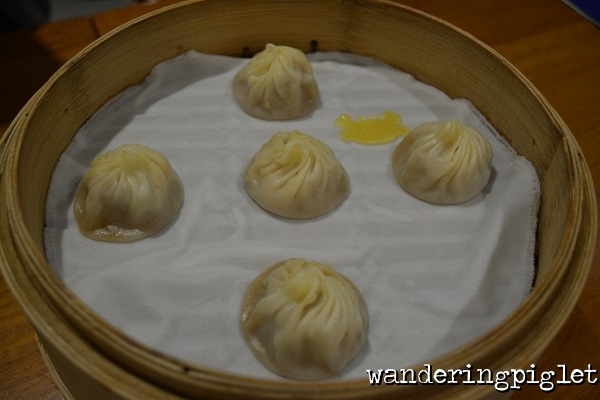 I have to say I didn’t realise that Din Tai Fung 101 had different menu offerings to the other international branches, so I was delightfully surprised. 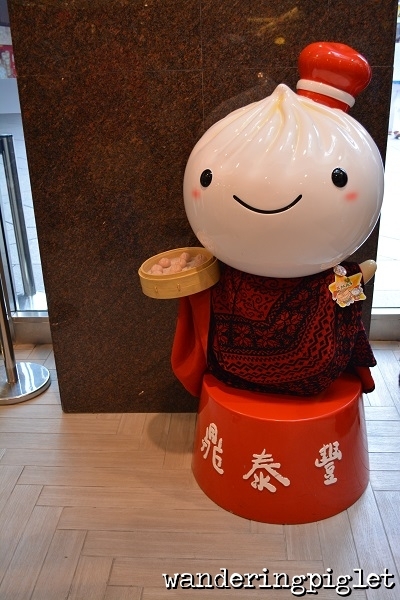 Oddly they even have a gift shop, where you can purchase anything from Din Tai Fung branded pineapple cakes, plastic mascot figurines or Din Tai Fung chopsticks! 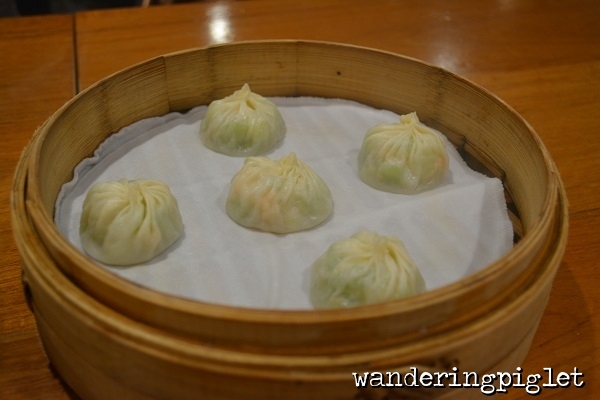 The stand out for me was the melon & prawn xiao long bao. 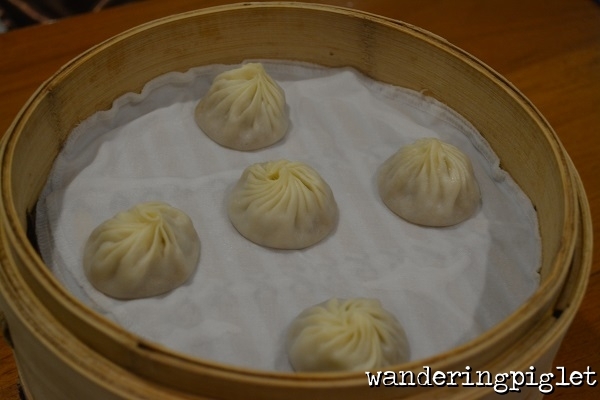 It was so juicy and fresh, and made me wonder why they don’t have a purely vegetarian xiao long bao on offer? 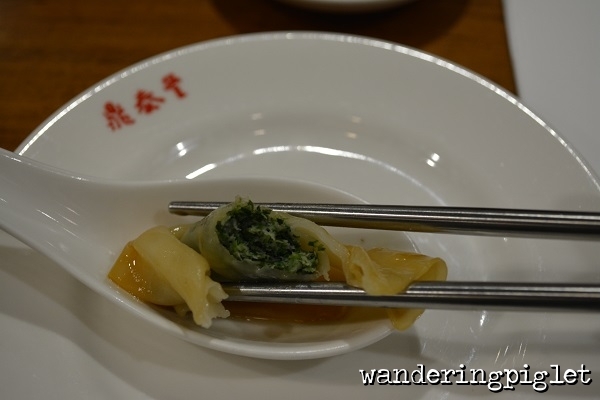 The fish dumplings also impressed! 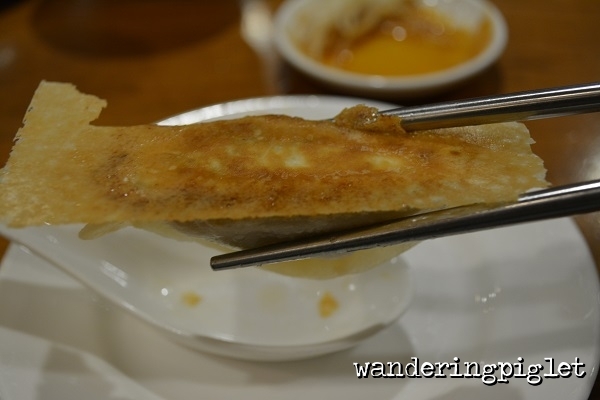 I think fish is a dish that in restaurants is more then often overcooked when it comes to the table. 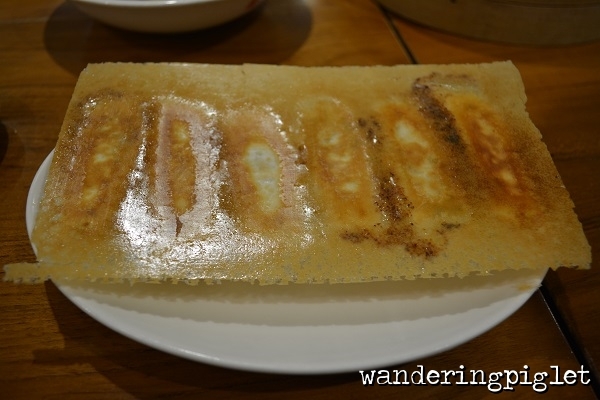 This, was perfectly cooked, tender and juicy and melt in your mouth. 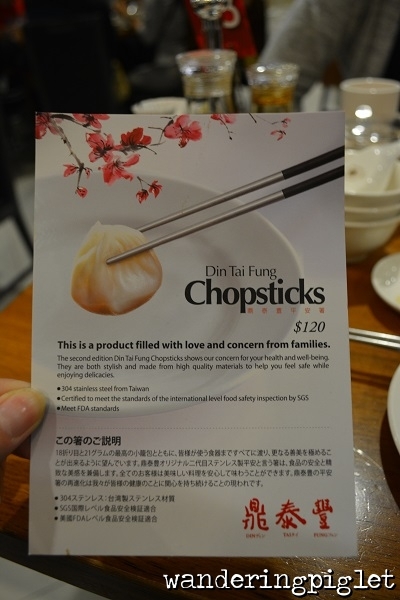 It goes well with the finely sliced ginger. 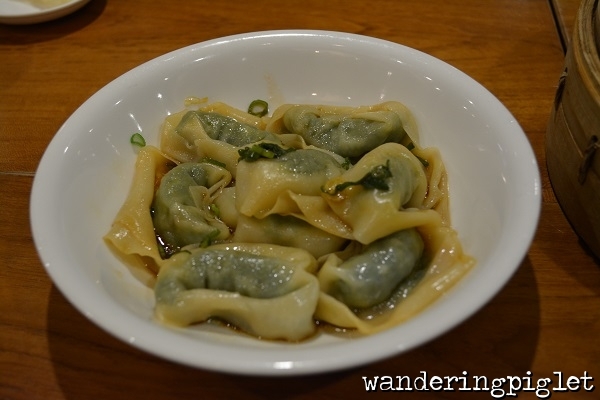 Next, the wonton were done very well, however I still think I might prefer Chef’s Gallery’s spice wonton dish, a fraction better! But this is very delicious none-the-less! 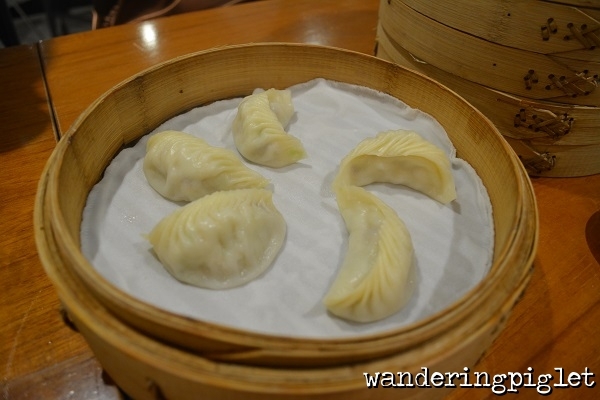 On to the pot-s ticker dumplings. It amazes me how it is so juice filled inside. 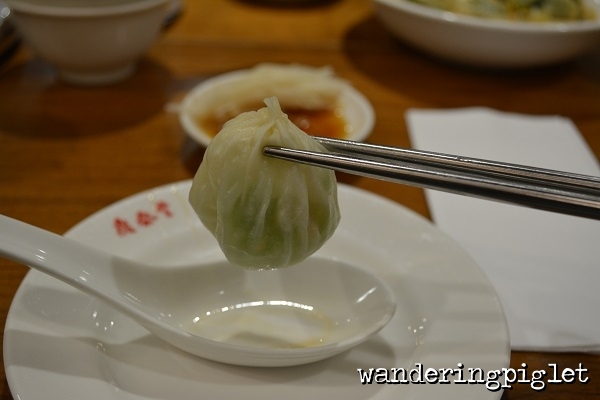 Din Tai Fung even manages to infuse the soup into these. The meat is very good quality and has very delicate flavours. 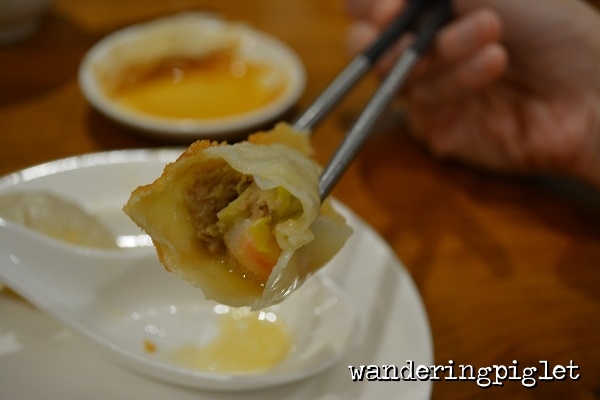 Unfortunately the glutinous rice siew mai is probably my least favourite dish out of all the ones we ordered. It is not executed badly, however I think I just don’t enjoy the carb on carb experience with no vegetable or protein to balance it out. Wouldn’t order it again, but that’s just my personal preference. 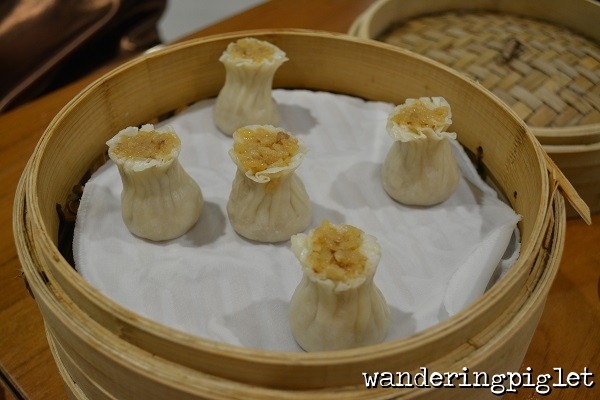 Last but definitely not least, was the crab roe xiao long bao – another stand out, and I was so happy to end on a high note. 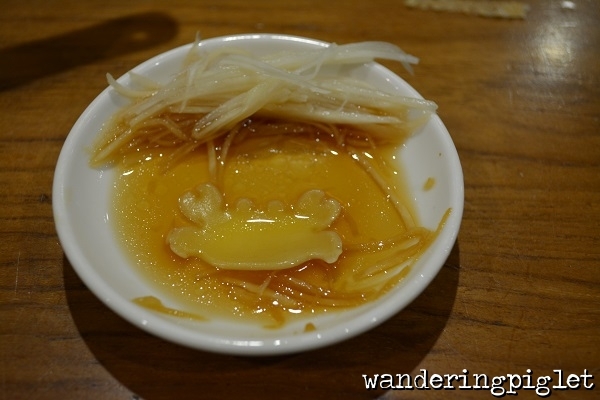 This was a crowd pleaser for the whole table, particularly the cute little crab insignia. 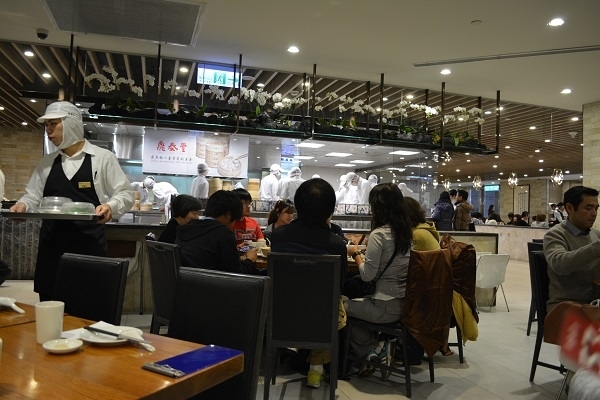 All in all very much enjoyed the experience of dining here.